When it comes to Tatasky I would say that the audio and video quality stands up to the expectations of Customers, Tata Sky has got true DVD quality picture and CD quality sound, same goes for Reliance Big TV who have also got awesome picture and audio quality which are much better than any other existing DTH. The STB of TataSky is stable and there is less or no reports of Tata Sky STB bugs or issues, the users also report that its Customer Service is satisfactory because all the issues are addressed on time and the after-sales support is also great, but for Reliance STB is the biggest problem as it is still now not stable, it has been reported that STB gets hangs innumerable number of times and also it gets overheated hangs several times, slow channel navigation and sometimes it does not work after a manual update. Even the Customer Care and Customer Service are not highly helpful. The CC Executives lack professionalism in their behaviour plus the after-sales support is too not good. When we talk about channel package then Reliance Big TV is perhaps the only DTH that offers several channels in its base pack. In fact, Big TV’s package and pricing is absolutely tailor-made to suit the exact needs of the customers, that means users get more channels by paying less, but in Tata Sky it is quite different, they have got too many Add-on packs and if you want to enjoy all the channels, then you have to take a lot of packs together even after going with the highest pack, because of which overall package becomes too costly. Rain-fade is an big issue for all DTH companies, but for Reliance Big TV it is not a problem. You can enjoy your favourite programs even when it rains heavily as Big TV’s advanced technology lets you watch channels even when it rains heavily. It may happens that channels may black-out for just about 5-6 seconds whereas in Tata Sky channels get black-out which last for the entire length of the rain, that is a big problem of Tata sky. The channel strength of TataSky is less compared to other Reliance Big TV and this is because they have got less number of transponders, that makes the signal weak. 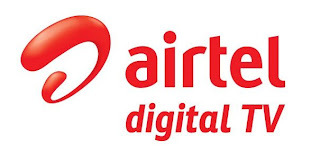 It is good to know that after Dish TV, Reliance Big TV is the one which offer the highest number of channels as it has incorporated MPEG-4 technology unlike other DTH who are still on MPEG-2, which means more channels can be added within a short span of time. Another merit of Reliance Big TV is the features of The Active or “Select” services which allow users to watch 12 channels at a time on a single screen unlike Tata Sky where you can watch a max of 6 – 8 channels, but still Tata Sky is the one who will be able to offer you uniform volume level across all channels, unlike Reliance where the volume level keep varying with each channels. So each one of them have it own pros and cons, so you simply have to go through all the points and choose the best out of it.